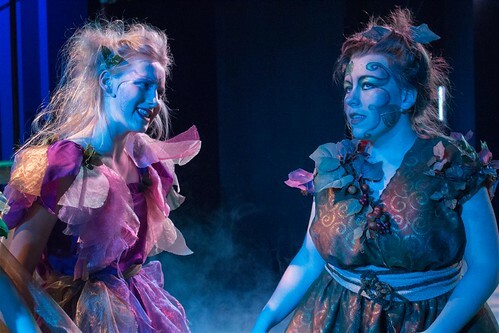 StAC: 'A Midsummer Night's Dream' opens tonight! / ► 'A Midsummer Night's Dream' opens tonight! 'A Midsummer Night's Dream' opens tonight! This year marks 400 years of Shakespeare and the Years 9 and 10 production of A Midsummer Night’s Dream is sure to delight you. Join us as we follow the adventures of four young lovers, the fairy king and queen, mischievous wood sprites and fairies, a troupe of amateur actors and their misunderstandings in an enchanted forest. With original music by Old Collegian William Buffham, a wonderful cast and creative team, this will be a great evening to enjoy this well-known play.